FMO Investment Management teams up with established partners to offer the highest standard of fund management services to complement our own expertise and services. Just like FMO’s investments must meet the highest standards, we wish to live up to and exceed the high standards of institutional investors. We aim for excellence in advising on investments and, impact measurement. The fund managers we work with have long standing track records in risk management, fund administration and investor reporting. ACTIAM is the leading responsible fund and asset manager, with €56.3 billion in assets under management at mid-year 2018. ACTIAM employs over 115 people and has many years' experience of providing professional asset and fund management services for the VIVAT insurance labels Reaal and Zwitserleven, a selected list of external clients, and participants in the ASN, Reaal, SNS, Zwiterleven and ACTIAM's funds. ACTIAM's Impact Investing department act as Fund Manager for the SME Finance Fund. NN Investment Partners is the asset manager of NN Group, a Dutch financial corporation listed on Euronext Amsterdam. We are an investment company with a global view, a keen eye for new opportunities and a proven track record of putting clients first. Although financial markets are complex, our main focus is simple: partnering with our clients to achieve their financial targets. NN Investment Partners will be the fund manager for the NN FMO Emerging Markets Loans Fund. Privium Fund Management is the fund manager for the FMO Privium Impact Fund. FMO is the Dutch development bank. FMO has invested in the private sector in developing countries and emerging markets for more than 48 years. It invests in sectors where it believes its contribution can have the highest long-term impact: financial institutions, energy and agribusiness. With an investment portfolio of EUR 9.2 billion spanning over 85 countries, FMO is one of the larger bilateral private sector development banks globally. 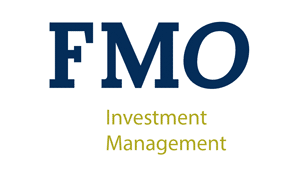 As 100% subsidiary of FMO, we only advise on or source investments made by FMO.